So much better than shoveling! 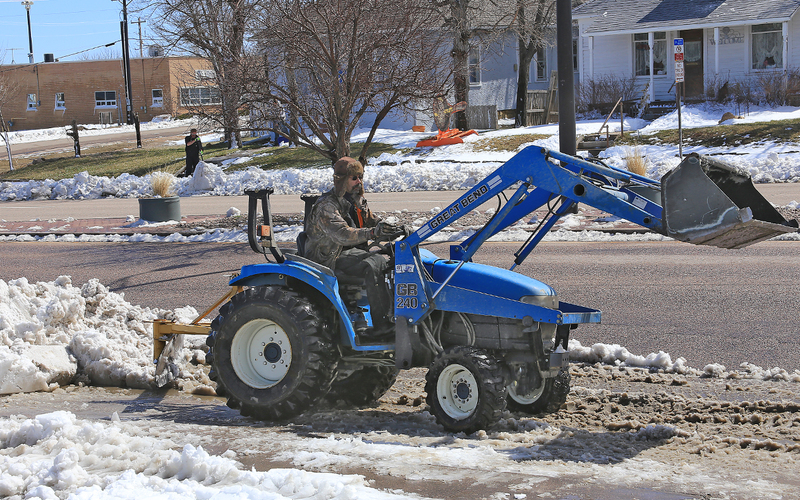 Don Otto brought his tractor to rescue the parking area at the Limon Leader office after snow drifted up to two feet deep in front of the building and almost three feet deep in the alley. School crews worked all day on Thursday to clear the snow from sidewalks and drives. 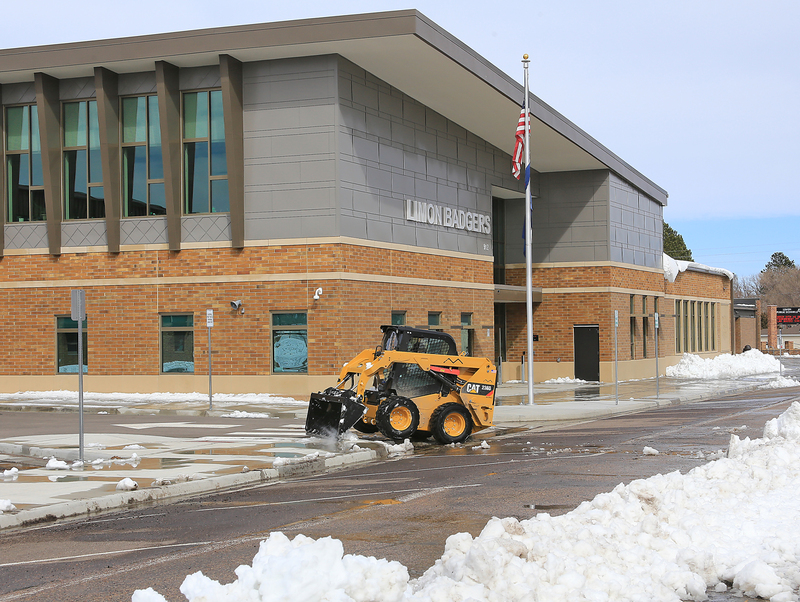 Fortunately, the storm hit during Spring Break and school didn’t have to be cancelled. 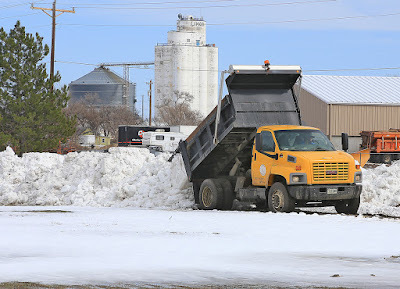 Hauling the snow off of the streets is the only option for the spring snow storm that hit the area last week.